As a Type A personality, I may claim that I look forward to long weekends because they offer the opportunity for a little rest and relaxation. In reality, I’m absolutely horrible at relaxing. I talk about it. Sometimes I even attempt it. But I generally fail at achieving it if I’m not actually away from home. Instead, I feel guilty if I spend more than an hour doing something that has no lasting benefit. What really makes me happy during a long weekend is tackling chores I normally don’t have time for: like weeding and yard work. What really annoys me is when I’ve ignored some of these tasks for a long time – too long. Such was the situation when I decided to tackle a neglected flower garden that included poison ivy leaves as big as my head. Initially, I was annoyed. But then I felt an incredible sense of accomplishment when I was able to trim the poison ivy off the rhododendron bush. Not only did the garden look better, but I seem to have avoided any rash – which is an even greater achievement for me. Recognizing that some of our greatest accomplishments come from appreciating small successes always make me smile. Posted on May 26, 2014, in My life, perspective and tagged 365 reasons to smile, accomplishments, achievements, gardening, holidays, life, movies, musings, perspective, poison ivy, smiles, Thoughts. Bookmark the permalink. 2 Comments. Yikes! 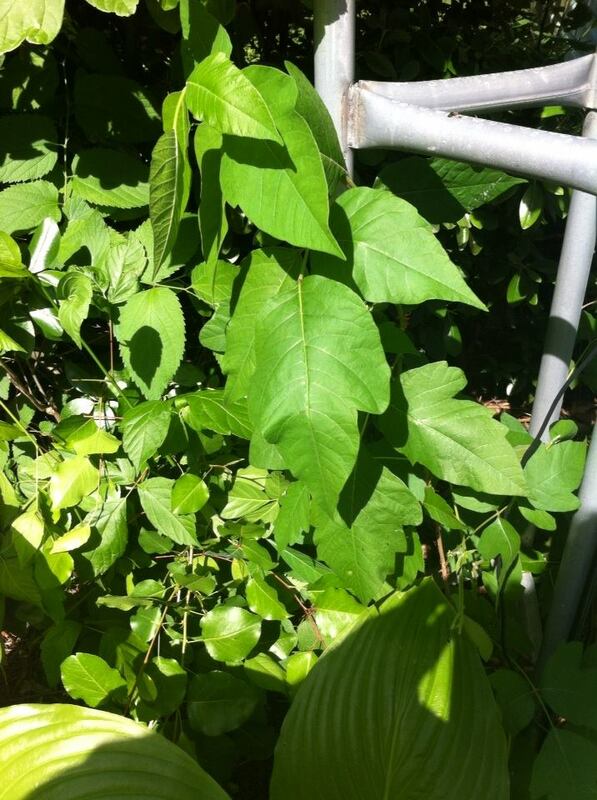 Poison Ivy is some scary stuff and you are a very brave woman.